This week’s UK Switch eShop line-up features more than a few familiar faces. While the titles in question aren’t exactly the freshest, they certainly aren’t lacking in quality. That’s to say, if you’ve never played the likes of Bastion, Dust: An Elysian Tail, Fallout spiritual successor Wasteland 2, and Double Fine’s Broken Age before then you’re in for a treat. Multiple treats, we suppose. Bastion was one of the highest rated indies of the year upon release, while Dust has a pleasing 32-bit action platformer feel to it. It’s the greatest SEGA Saturn game that never was. 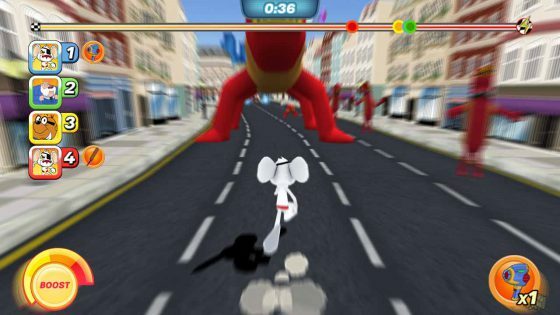 Light-gun style shooter Time Carnage, pixel art puzzler STAY, ambitious first-person adventure The Spectrum Retreat, and Surgeon Simulator CPR also made belated appearances this week, while some of the newer releases include the worryingly low budget racer Danger Mouse: The Danger Games, retro-tastic rhythm action affair Old School Musical. Retro fans are in for a treat too, with the legendary Rygar making a surprise experience. Here’s the full rundown of releases, along with discounts and new pre-orders. Also: a single new release for the humble 3DS. What has 50 amazing chiptune tracks, a loony story mode, 32 different chicken types to fight, and takes you on a tour of retro games? It’s Old School Musical of course! Encounter the nostalgic aesthetic of classic tabletop RPGs by playing with over 100 handsomely painted character and monster miniatures as you explore the depths of Firetop Mountain. The Wasteland’s hellish landscape is waiting for you to make your mark…or die trying. With over 80 hours of gameplay, you will deck out your Desert Ranger squad with the most devastating weaponry this side of the fallout zone, test the limits of your strategy skills, and bring justice to the wasteland. Didn’t fancy seven years at medical school? Skip straight to the operating table with the critically-acclaimed Surgeon Simulator CPR, fully revived and feeling better-than-ever on the Nintendo Switch! 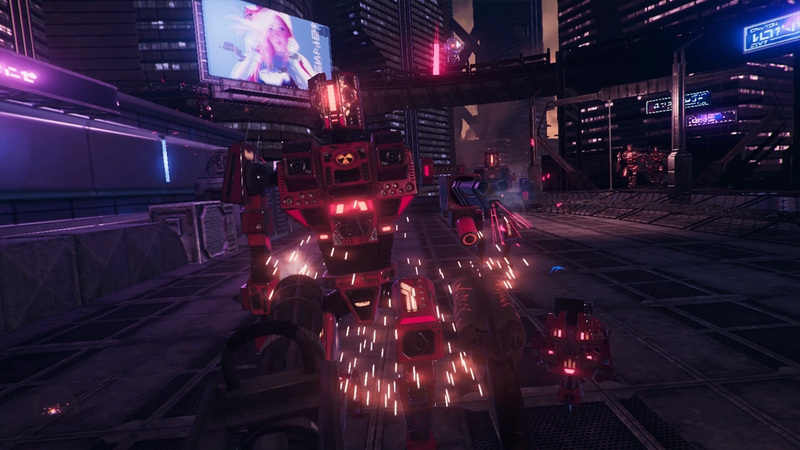 Time Carnage is a frantic survival wave shooter with gyro-based motion controls. Featuring single-player or two-player couch co-op gameplay! Travel through time and wreak havoc through worlds swarming with dinosaurs, monsters, robots and zombies. Unlock and upgrade your arsenal to survive the onslaught! NBA 2K celebrates 20 years of redefining what sports gaming can be, from best in class graphics & gameplay to groundbreaking game modes and an immersive open-world “Neighborhood”. NBA 2K19 continues to push limits as it brings gaming one step closer to real-life basketball excitement and culture. Shadow Fight 2 is a representative of a popular fighting series. It’s a love letter to all martial arts games and fantasy/sci-fi genre. Travel across 7 distinct provinces and force to terrify the mighty Titan! in addition, Shadow Fight 2 offers you a bonus story chapter which sheds some light on characters’ past. In total several hundred different battles are available for the player in the adventure mode! Mary Elisabeth Riley is to be wed to Sir Charles Gilbertworth on the eve of her 21st birthday. Right before the ceremony, the groom goes missing. Mary Elisabeth would be fine with this, more than fine, but the thing is, Gilbertworth disappeared in her family’s mansion, and if he’s not found, the blame might fall on her mother, widow Riley. There’s also the matter of, well, the supernatural. It seems there’s more to the folk stories than she believed. The lunar base, where you are stationed as part of the security forces, is under siege. Having just escaped from enemy captivity you are now on your own and must fight against overwhelming odds to survive. Featuring large and complex levels with nonstop action RTO 3 is a first-person shooter which will keep you entertained for hours. Next week: UNDERTALE, Siegecraft Commander, Hover, The Gardens Between, and Light Fingers.